In May 2016, the foundation stone was laid for one of our youngest bear sanctuaries close to the Ukrainian city of Lviv (Lemberg): BEAR SANCTUARY Domazhyr. The first construction phase, covering 7.7 hectares, was completed in autumn 2017. 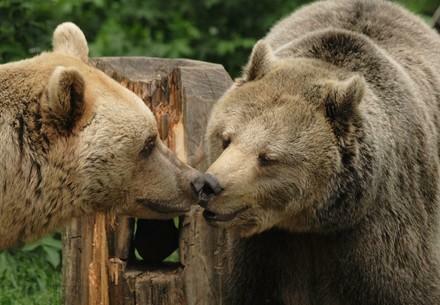 BEAR SANCTUARY Domazhyr will be extended in coming years to include further enclosures. 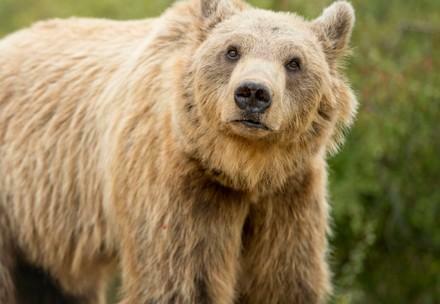 The long-term plan is to create space for up to 30 bears now kept in conditions not appropriate for these animals. The sanctuary opened in October 2017. Like all FOUR PAWS sanctuaries, BEAR SANCTUARY Domazhyr offers guided tours and exhibitions aimed at educating visitors about the environment. 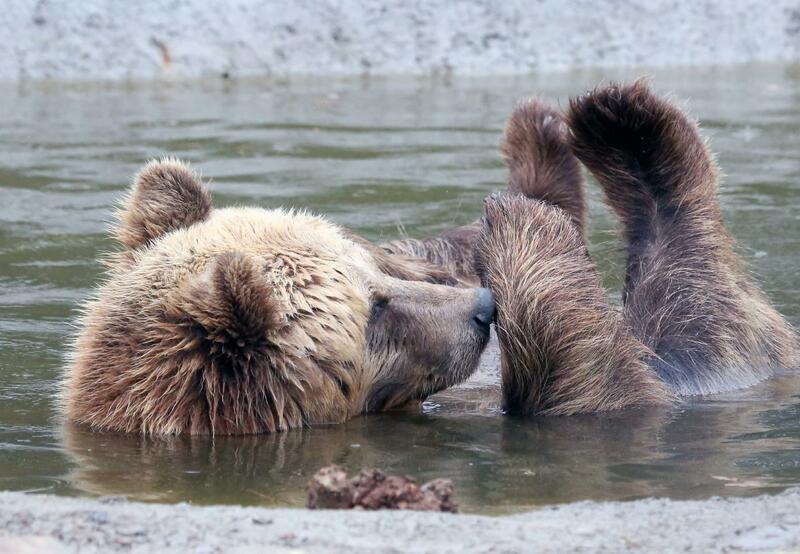 BEAR SANCTUARY Domazhyr provides a species-appropriate home and lifelong care to eleven Ukrainian brown bears that were abused as baiting bears, kept in small cages next to restaurants to attract customers, or held illegally in other inadequate conditions. The first bear, Potap, was rescued and transferred to the sanctuary in July 2017. Prior to his rescue, Potap was kept in a tiny cage near a restaurant and used to attract visitors. When the owner of the restaurant gave up his business, Potap was left behind and fed provisionally by local activists. Now, he receives the care he deserves from FOUR PAWS experts. 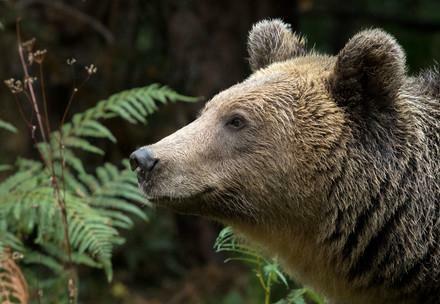 The construction of BEAR SANCTUARY Domazhyr represents an important step in stopping the abuse of bears for bear-baiting and improving the conditions of bears held in captivity in Ukraine. On the basis of our initiative, a new animal welfare law was adopted in 2015. Since then, forcing either wolves or bears to fight dogs has been prohibited. But bear-baiting continues illegally since bears can still be kept on hunting stations. By giving a home to the last fighting bears at BEAR SANCTUARY Domazhyr, FOUR PAWS – with the support of the Ukrainian authorities – aims to put an end to this cruel practice once and for all. We were finally able to free Kvitka from her cage at a hunting station in Ukraine. for our rescued bears at BEAR SANCTUARY Domazhyr!